Touched in numbers that can’t be tabulated, each and every “three” holds a story. Should scientists ever create a machine that will allow us to see the fingerprints of souls, a darling old Douglas will likely be the test bed. If so, there in the monitor of this amazing new invention, glowing traces of history will combine to form a blinding light of emotions left behind. Streaming outward across the room like rays from a supercharged projector, memories of the identified souls will play on every surface except those darkened by the researchers’ shadows. And if by chance the airframe used for this test was once based in Columbus, Indiana, on those surfaces a full life will be seen. Douglas factory workers will be witnessed at work, soldiers will be seen jumping into France, and in some small corner a late century pilot will be observed flying along in that very airframe pondering the unseen history revealed at this moment. That pilot would be me. Cruising above a smoky gray overcast during the last light of day, in my seat I could barely see my notes. Like all other flights I made with the "three", as we flew I used the trip sheets as a journal. Printed only on one side, this stationary made my journals of each flight special. Documented for posterity on side A was the weather, load sheet, fees charged to costumers, and our flight plan. Side B, my side, would be the side where I would record the goings-on of each flight and my thoughts on the same. Often, my feverish scribbling would prompt questions for the other crew member about what exactly I was doing. As any cargo pilot with a passion for honesty will tell you, rules are broken often and all rules are written to direct all blame for committed transgressions, from the FAA down, toward the pilot. Therefore, the thought of a written record being born from my pen induced pilot paranoia quicker than a Fed in the jumpseat. Personally, I found it hilarious but that's subject for another day and I was just about to tell you about my flight to Spartanburg, South Carolina. Everything in life travels a line from beginning to end. Be it human flesh, alloy object, or even history, each subject radiates out in the direction from which it was born into this world. A careful observer of life therefore, will occasionally witness several seemingly random tangents intersecting to tell a story. For me, one such crossing occurred on a warm summer night as we flew forward to save a factory from shutdown. The factory belonged to BMW. Scribbling my thoughts about that nights flight, I turned the page to review our trip and there on the sheet was the airplane, DC-3, and its N#, followed shortly thereafter by what we were delivering. That was the point I realized the approaching convergence of paths. If you have relatives, like I do, that were in Europe during WWII, then you probably have heard stories or know some history of the war. Or maybe again like me, your relatives were so disturbed by what they saw they refuse to talk about it to this day. Whatever the case, the German's were our enemies and our goal was to liberate a large percentage of the planet from the grip of the Nazis. 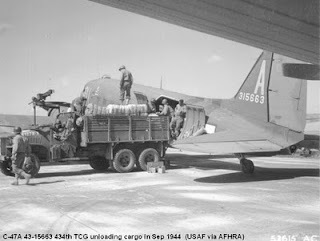 There, on any given day or night, cargo, troops, or gliders filled with both, were delivered through the skies to support the war. Below on the ground, somewhere in the forest, was my uncle. Above him, DC-3s (C-47) delivering the goods he and his band of brothers desperately needed would come under fire from enemy aircraft with disastrous results. 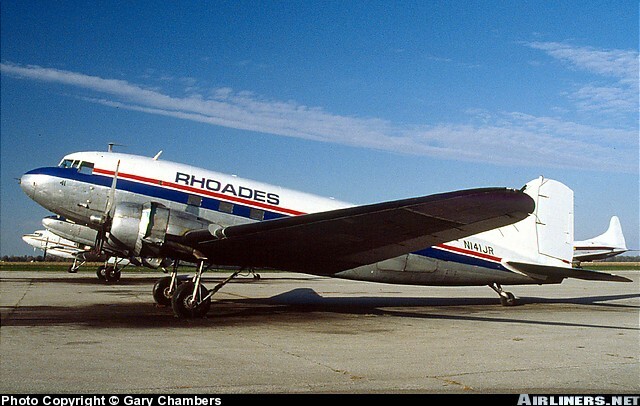 Flash forward to 1999 where from within a level 6 cell, a beat up DC-3, once labeled C-47, burst forth into smooth air. A few hours later, this machine would land at home having fought its way though explosions of energy and the associated jolts to deliver much needed goods to the grunts on the ground. There in the battle of capitalism, on United States soil, a German company, once a producer of engines for the aircraft that shot down sisters of this very one, was doing business. Inside, United States citizens were building BMW's for the grandkids of WWII vets. And through the skies, a DC-3 had delivered the goods so desperately needed to keep the factory open. Through it all the DC-3 was there. Are you a 'REAL PILOT' flying a 'REAL PLANE'? WHAT DO THOSE 3 CONES MEAN?